Argh, matey! 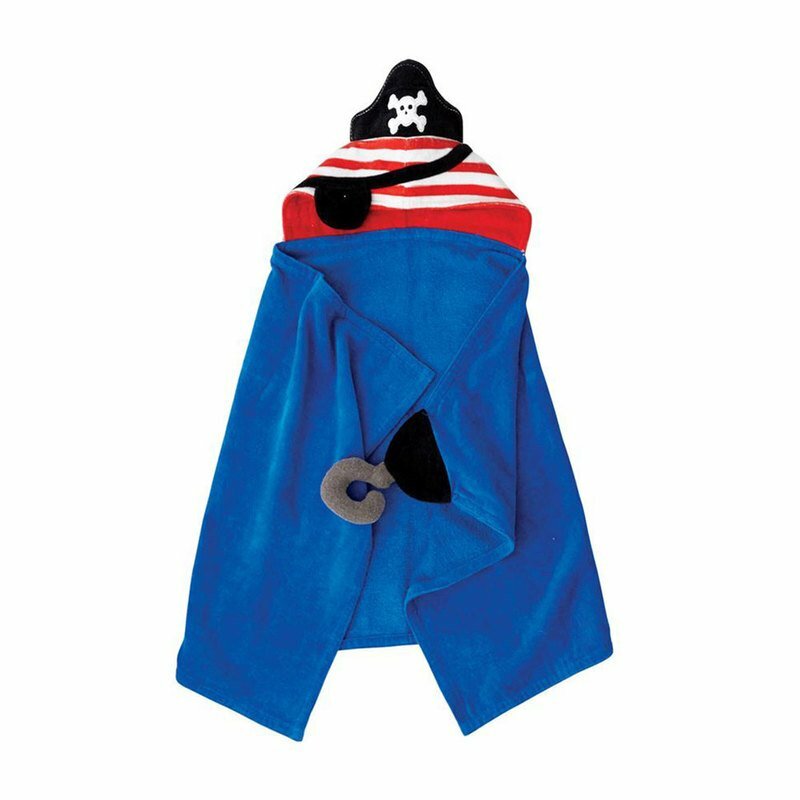 Why just talk like a pirate when you can be a pirate with this adorable cotton terry cloth pirate towel featuring dimensional hook at easy wrap-arounDecorner "pockets" and hood with dimensional pirate hat and eye patch. Great for gift-giving to any buccaneer!